Synopsis: Forests have always been more than just their trees. The forests in Michigan (and similar forests in other Great Lakes states such as Wisconsin and Minnesota) played a role in the American cultural imagination from the beginnings of European settlement in the early 19th century to the present. 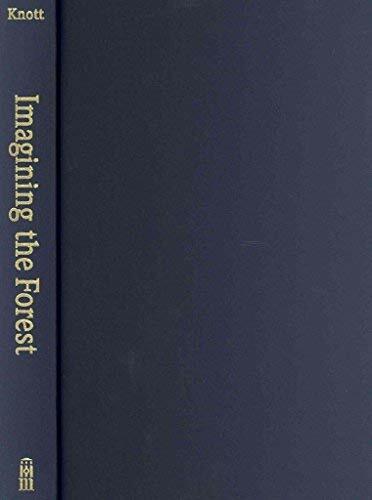 Our relationships with those forests have been shaped by the cultural attitudes of the times, and people have invested in them both moral and spiritual meanings.<p></p>Author John Knott draws upon such works as Simon Schama's <em>Landscape and Memory</em> and Robert Pogue Harrison's <em>Forests: The Shadow of Civilization</em> in exploring ways in which our relationships with forests have been shaped, using Michigan-its history of settlement, popular literature, and forest management controversies-as an exemplary case. Knott looks at such well-known figures as William Bradford, James Fenimore Cooper, John Muir, John Burroughs, and Teddy Roosevelt; Ojibwa conceptions of the forest and natural world (including how Longfellow mythologized them); early explorer accounts; and contemporary literature set in the Upper Peninsula, including Jim Harrison's <em>True North</em> and Philip Caputo's <em>Indian Country.</em><p></p>Two competing metaphors evolved over time, Knott shows: the forest as howling wilderness, impeding the progress of civilization and in need of subjugation, and the forest as temple or cathedral, worthy of reverence and protection. <em>Imagining the Forest</em> shows the origin and development of both. John Knott is Professor Emeritus of English and former Chair of the English Department at the University of Michigan. His books include Michigan: Our Land, Our Water, Our Heritage and Imagining Wild America.